The higher volume and the strong gains on the 4th day of an attempted rally means Tuesday qualified as a Follow-Through Day (FTD) under the Investors Business Daily rules. 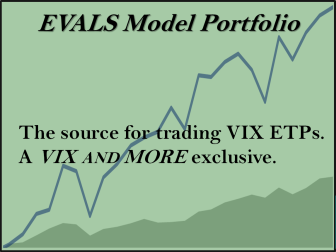 Most striking to me was not the price gains or the volume but the exceptionally strong breadth on Tuesday. I ran several tests that examined how strong breadth on a FTD might affect its chances of success. 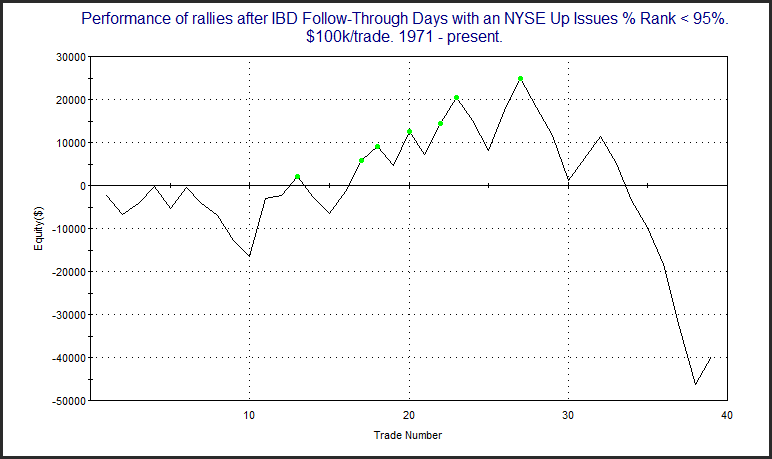 Whether a FTD successfully predicts a rally is not an indication of whether someone trading individual stocks using IBD’s techniques would make money or not. 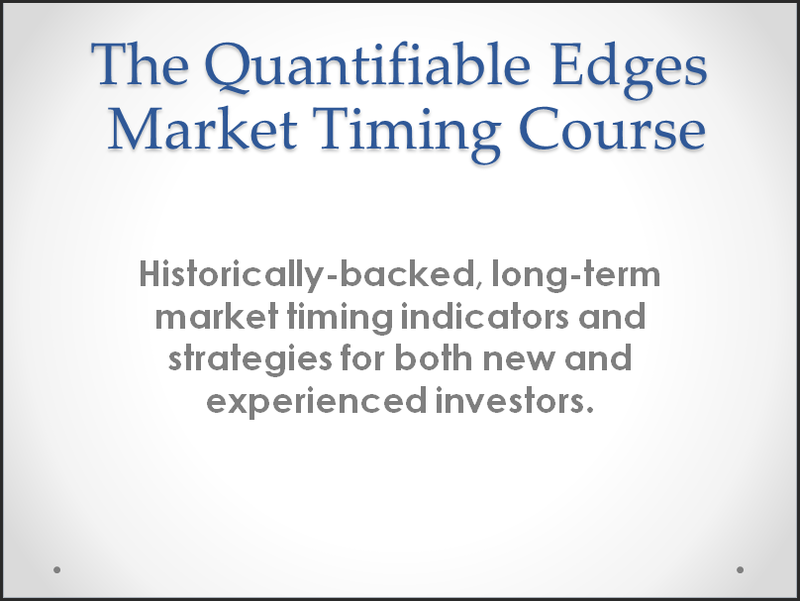 What it does measure is the usefulness of FTDs as a market timing indicator. I believe this is a fair way to test them since IBD claims they are valuable in identifying when downtrends are ending and new uptrends are emerging. Using the original parameters as described in the post I linked to above there have been 74 FTDs since 1971. Thirty-eight of them (53%) led to successful rallies. This is an interesting stat but it doesn’t tell the whole story. 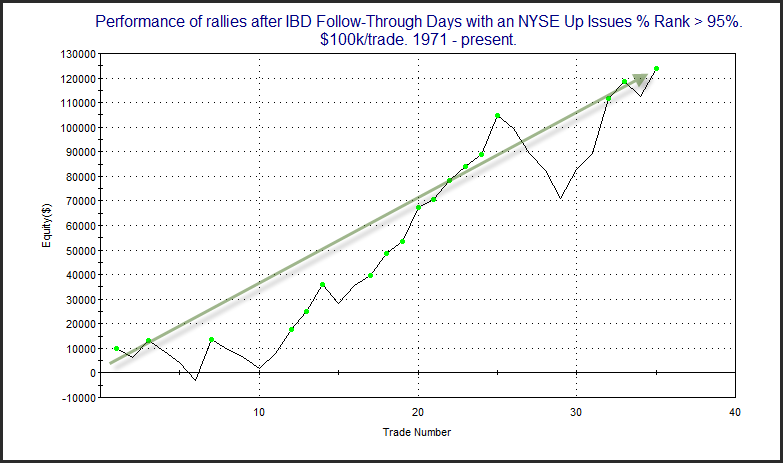 Below is an equity curve that I don’t believe I’ve ever shown prior to last night’s subscriber letter. It shows how someone trading the SPX would have performed using FTDs as a buy trigger and then exiting the trade when the rally either “succeeded” or “failed”. 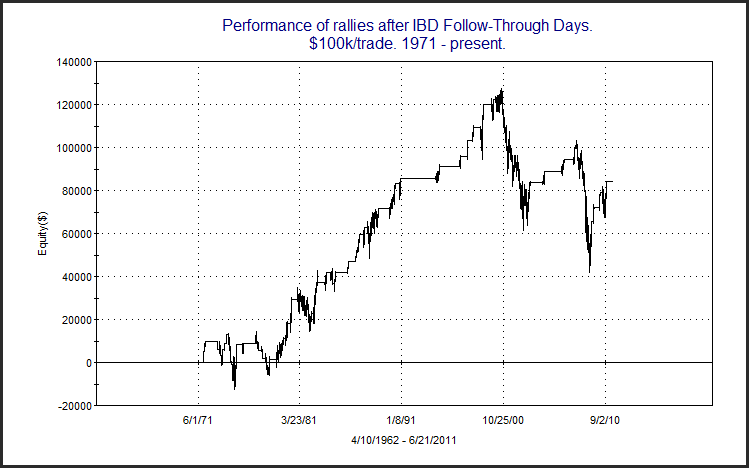 As you can see FTDs worked very well during the long bull market of the 80s and 90s. But in the 70s, and again since 2000, FTDs have struggled as a market timing tool. In this case 22 of 35 FTDs (63%) have been followed by successful rallies and gains have been fairly steady over the years. Now let’s look at FTDs that came without very strong relative breadth. Results here were never strong and they’ve turned quite negative in recent years. Rather than a 63% success rate as happened with strong breadth, only 44% of instances here succeeded. 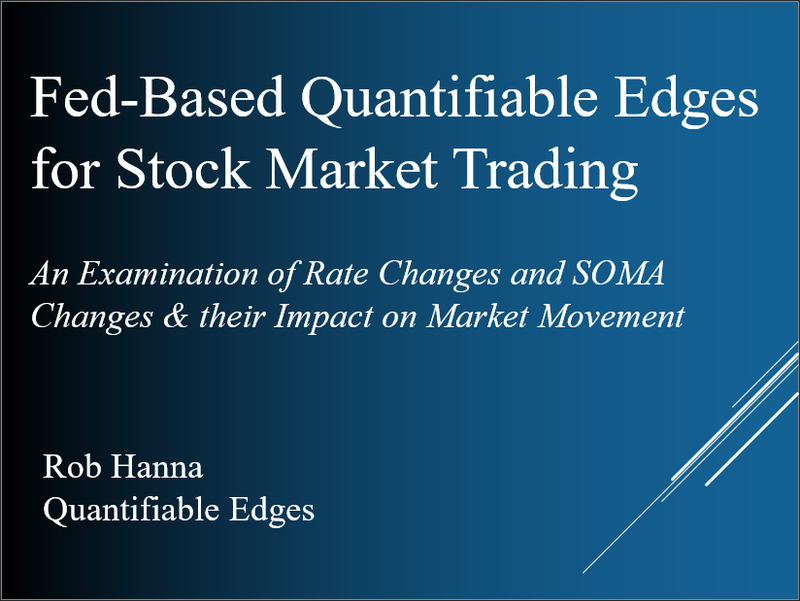 So for those who may not have considered it in the past, examining breadth strength on FTDs seems a worthwhile endeavor.